The Celestial had settled that late billionaire businessman, Moshood Kashimawo Abiola would not be Nigerian president even if he won an election to the office, before he “won” the June 12, 1993 presidential election. 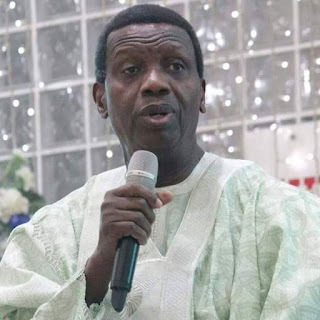 General Overseer of the Redeemed Christian Church of God, Pastor Enoch Adejare Adeboye, revealed this Friday midnight during the April edition of the monthly Holy Ghost Service at the Redemption Camp, along Lagos/Ibadan Expressway. “At that time, I was the president of PFN, (Pentecostal Fellowships of Nigeria) and pastors came to at TBS (Tafawa Balewa Square) saying, the two candidates in the election are Muslims and we are Christians, so who are we to vote for. I said to them, well, everybody should go and vote his conscience, but this is what my Father said, ‘the winner will be the loser and the loser will be the winner’. Oh, they said to me, come-on now, two people are in an election, there will be a winner. I said that was what my Father said.